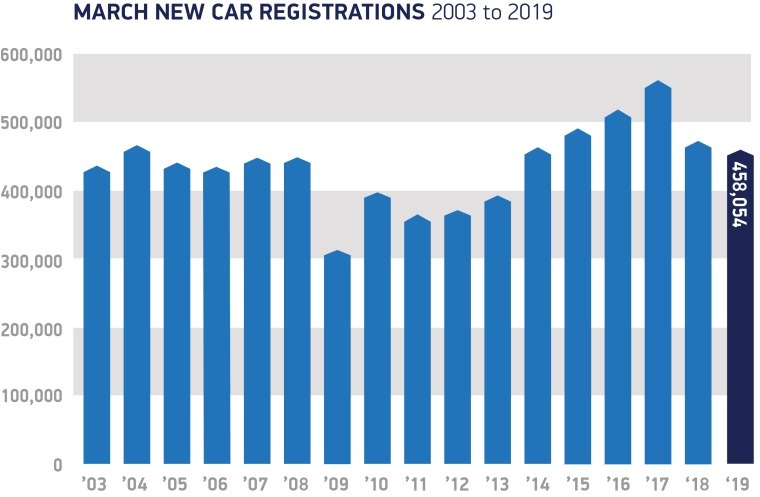 New car registrations declined 3.4% year-on-year in March – a month which is traditionally seen as an indicator for the market’s robustness. 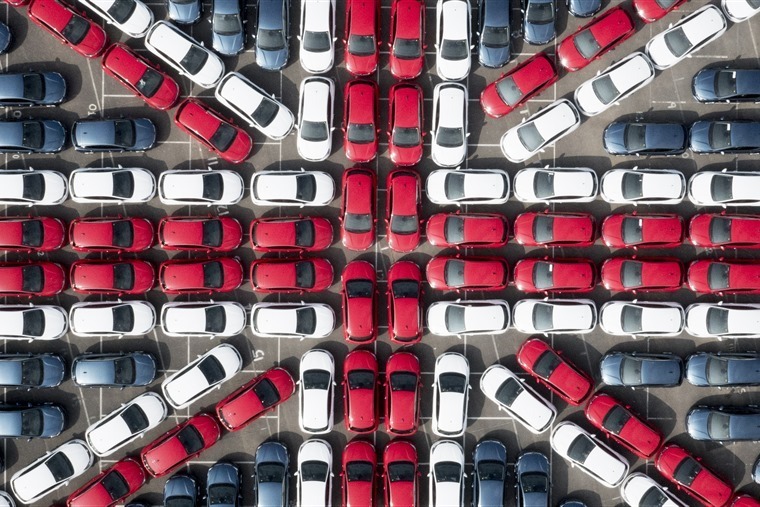 The Society of Motor Manufacturers and Traders (SMMT) says the decline is due to the political and economic uncertainty ahead of Brexit, while the continuing confusion over diesel has seriously impacted demand, too. Mike Hawes, SMMT Chief Executive, said: “March is a key barometer for the new car market, so this fall is of clear concern […] We urgently need an end to the political and economic uncertainty by removing permanently the threat of a ‘no deal’ Brexit and agreeing a future relationship that avoids any additional friction that would increase costs and hence prices”. 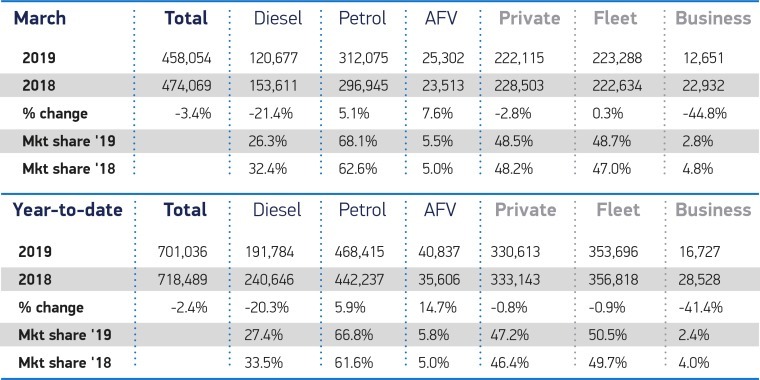 Declines were seen in most market segments except alternatively fuelled vehicles (AFVs) – demand plug-in models increased by 7.6% to 25,302 registrations – the biggest March volume on record for AFVs. Registrations of superminis also rose by 4.3% to make up 33.&% of all registrations. However, tech advances weren’t just limited to drivetrains. The SMMT says that the new cars being registered are safer than ever before, with eight in 10 now featuring self-activating safety tech like autonomous emergency braking (AEB) and collision warning. 51.9% of cars are now available with adaptive cruise control, too. The ever-popular Ford Fiesta continues to dominate the best sellers chart for the year to date, although in March almost as many Vauxhall Corsas were registered. The A-Class continues to entice drivers, while the BMW 1 Series also manages to make it into the top ten, as does the new Toyota Yaris.